Sculpt your body with versatiliy, ease, and effectiveness with the Body Champ BCB3890 Olympic Weight Bench System. 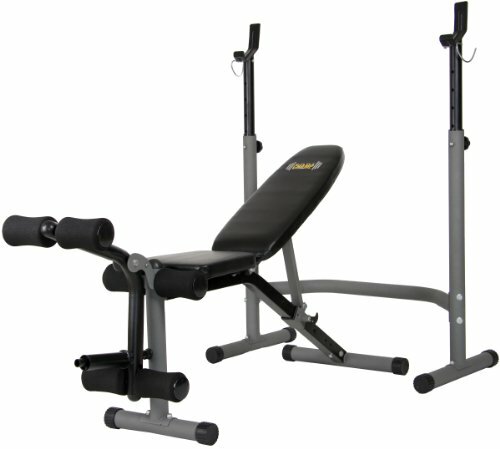 The unique two-piece design-composed of an independent squat rack and separate utility bench- allows you to maximize your workout sessions as you build, tone, and develop all muscle groups. Easily adjust to any of the 5 Backrest positions to focus and isolate your workouts. The dual-action Leg Developer and adjustable Height Bar catches allow you to tailor your strength-training sessions. If you have any questions about this product by Body Power, contact us by completing and submitting the form below. If you are looking for a specif part number, please include it with your message.